The ARKS Lobby will transform into a New Year’s Lobby starting January 1st through January 14th, 2015. 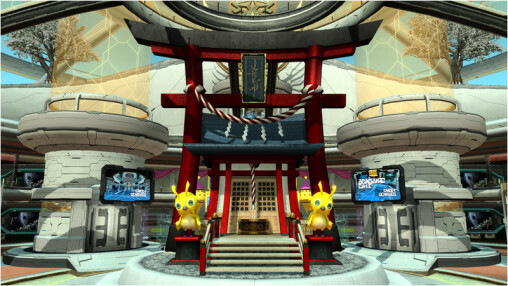 During this time, you can see Rappies and a red Shinto shrine gate at the center of the lobby. The Neujahr Nyau will appear in quests, donning a hakama and wielding a colorfully decorated bamboo rake! Defeat Nyau for a chance to obtain a kumade Bullet Bow weapon camo or a Sword designed like a harisen. Two AC Scratches will arrive on New Year’s Day. “Year of The Sheep: Accessory Selection” and “Year of the Sheep: Lucky Bag G” will revive popular costumes and accessories for two weeks. The Accessory Selection scratch features lobby actions, voice tickets, and accessories. Most notable are the “Ponytail Braid” and “Demon Tail” accessories, as well as the “Asymmetrical Wild Wolf” and “Eternal F Layer” hairstyles. A brand new hairstyle called “Natural Medium” is also included in this scratch. The Lucky Bag G scratch bundles several items together, whether they may be costumes, hairstyles, and accessories, or a complete set of Cast parts. For example, the “Ulala Repca Cherry Set” comes with a costume, hairstyle, accessory, and lobby action based on the Space Channel 5 heroine. You can even acquire Quna’s “Winter B” accessories all together in one whole set! New hairstyle “Natural Medium” can also be obtained from this Scratch. New Year’s Event: January 1st @ 0:00 JST ~ January 14th. New Year’s Scratch: January 1st @ 0:00 JST ~ January 14th. New Year’s Nyau: January 1st ~ February 12th. 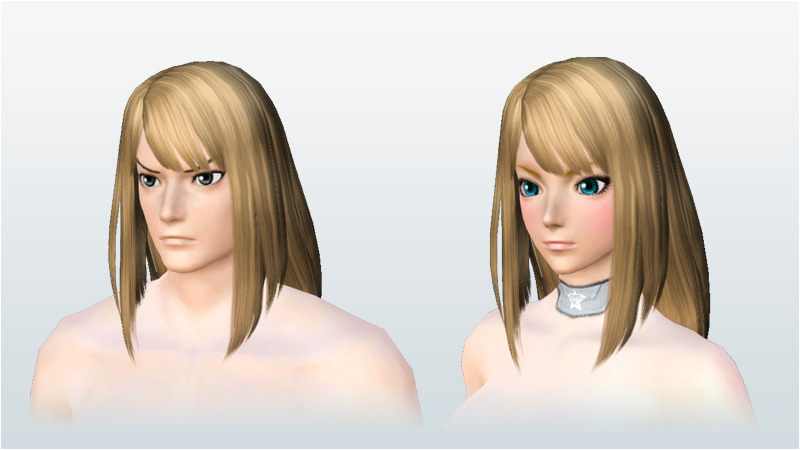 The new hairstyle seems good enough, maybe I’ll find some use for it. The rest is not so important to me, but I’ll have a look to be sure :). Ohh isn’t “Neuya” supposed to be “Neuer” (masculin word “new” in german)? It would simply mean “New Nyau”. Neuya sounds kinda like a pun on Neujahr tho, which means New Year in german. Actually Neujahr sounds pretty close to the pronounciation. So if there are any objections I’ll just go with that instead. Oh nevermind, my bad lol. I just read how Neuya Nyau is written in Katakana. I thought it was ノイアー. Does Sukuna Ac scracth come at the same time as this new years revival Ac ? That scratch is coming on January 14th.